Puerto Vallarta is a Mexican balneario resort city situated on the Pacific Ocean's Bahía de Banderas. The 2010 census reported Puerto Vallarta's population as 255,725 making it the second largest city in the state of Jalisco. 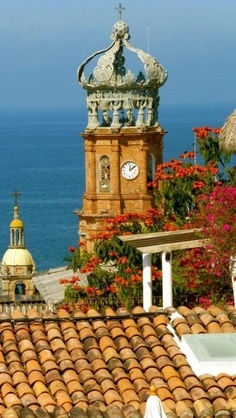 The City of Puerto Vallarta is the government seat of the Municipality of Puerto Vallarta which comprises the city as well as population centers outside of the city extending from Boca de Tomatlán to the Nayarit border (the Ameca River).